One of the most rampant trends seem in 2018 is the resurgence of statement ceilings. In the past, these ceilings used to be emulated in the form of grand paintings and huge chandeliers, intricate mosaic work and vaulted roofs. But today, they encompass our spaces with a modern twist. Instead of using opulent and over-the-top means, the statement ceilings of the contemporary era are extremely modest but still impactful. 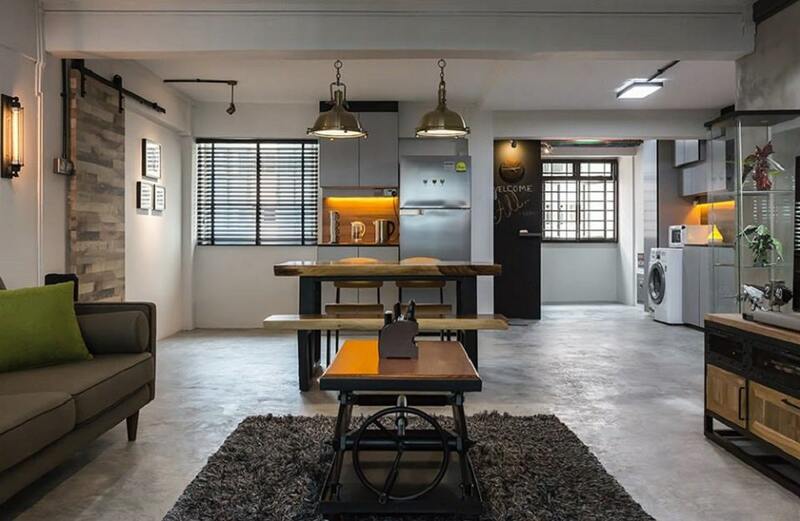 Further, we’ll take a look at 5 statement ceiling inspirations for your HDB renovation. 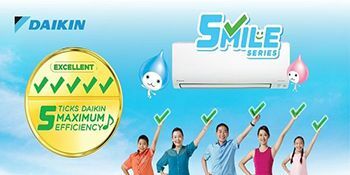 Taking the climatic conditions of Singapore in context, the ceiling fan is always going to be an integral part of the ceiling design. So why not make it an actual design element for your interiors? 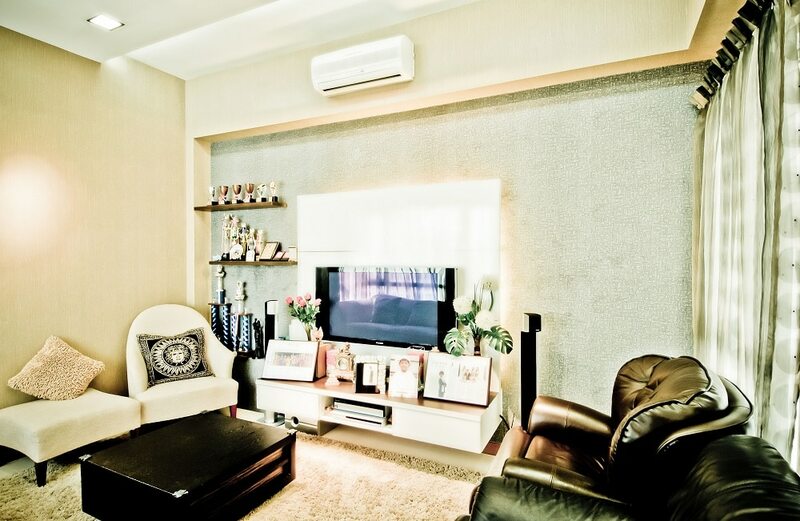 You can simply take a stylish ceiling fan, and design your ambient lighting around it. 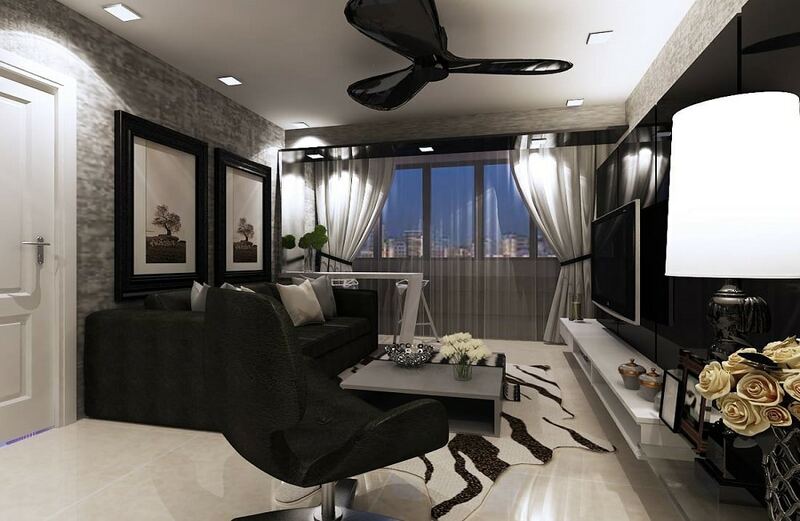 This trendy fan can be the focal point of your modern statement ceiling design. When you’re going for a statement ceiling, it is not necessary that you go for something that is too baroque. A simple play of light and shadows on a plain part can do the trick as well. This image shows a ceiling design that features an amazing combo of a simple ceiling surface with striped light and shadow accents. 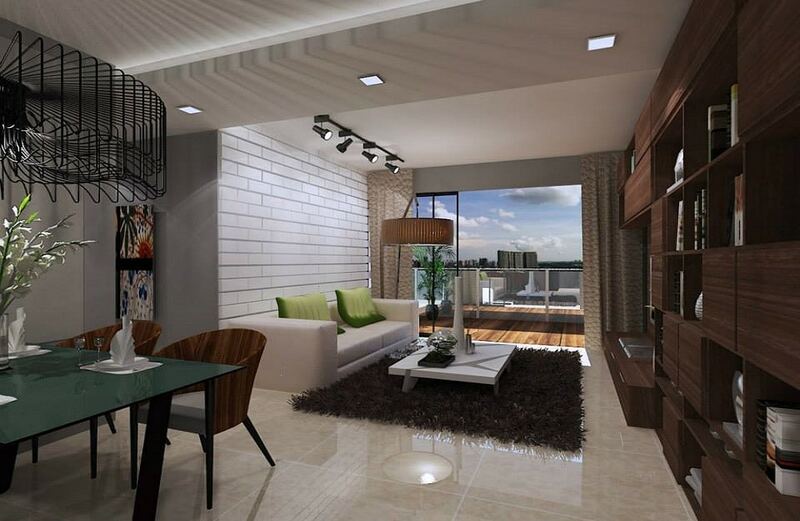 It’s a great way to make your ceilings beautiful and attractive without exerting too much attention to it. Who doesn’t love some great pendant lights? This is a particular genre of light fixtures that has become a timeless classic. They’re available in a number of styles and aesthetics, and they never seem to go out of style. You can place a cluster of them over a central point of your interior design in order to get amazing light accents in your space. If you feel like plain and simple is just not your style, then here’s an idea for you! You can use recesses in your ceiling design to create elaborate designs. They’re bold, glitzy and look absolutely glamorous. This technique is a great way to go beyond the norms and create a truly eccentric statement ceiling design. 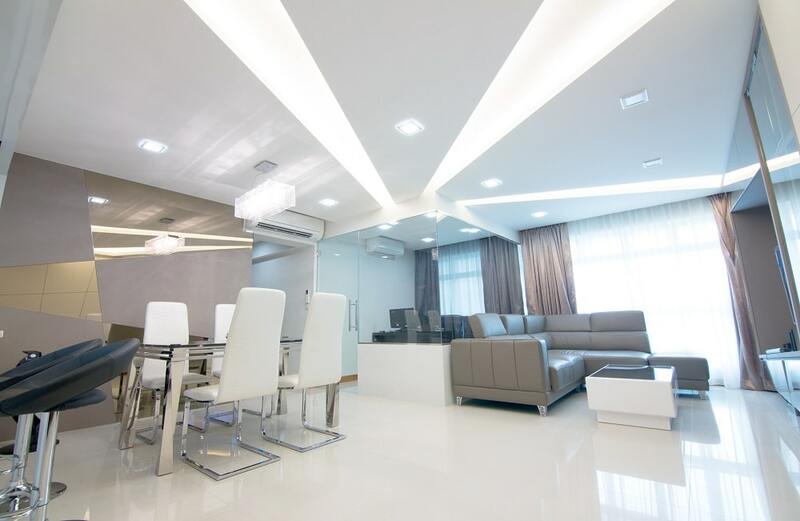 Plaster of Paris and Gypsum ceilings are the easiest ones to create designs. They can be molded into any shape and form that you like. Step-up and step-down designs are easy to emulate in these materials, so if you want to go for elaborate coves and curves, this suggestion is for you.